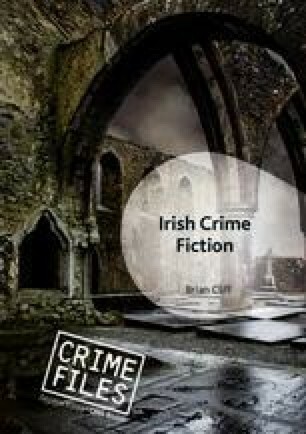 The critical discussion of Ireland and crime fiction has often focused on Troubles thrillers, primarily novels from the 1970s and 1980s, habitually derided as ‘Troubles trash,' relatively little of which was domestically produced. Those discussions allow the chapter to consider the existing critical discourse around the genre in Ireland, providing a point of reference for later chapters. Although it addresses the roles played by groundbreaking authors like Colin Bateman and Eoin McNamee, the chapter focuses on work by Stuart Neville, Claire McGowan, Brian McGilloway, and Adrian McKinty. All of these writers have opened the genre’s potential in Northern Ireland through narratives that hinge on matters as varied as human trafficking, abortion, economic despair, revenge and justice, corporate conspiracies and corruption, spies, and ghosts. Independent Commission for the Location of Victims’ Remains. http://www.iclvr.ie (accessed 19 December 2017). ———. ‘Confidentiality.’ http://www.iclvr.ie/en/ICLVR/Pages/Confidentiality (accessed 19 December 2017). ———. ‘McGilloway on the Run.’ Derry Journal, 14 March 2008. http://www.derryjournal.com/news/mcgilloway-on-the-run-1-2122496 (accessed 30 May 2017). Ware, John. ‘Exposed: The Murky World of Spying During the Troubles.’ Irish Times, 11 April 2017, updated 20 April 2017. https://www.irishtimes.com/news/ireland/irish-news/exposed-the-murky-world-of-spying-during-the-troubles-1.3043818 (accessed 17 May 2017).